Spend some time this September aboard the schooner Bonnie Lynn in Maine! September in Maine brings beautiful weather, warm water, beautiful foliage and lots of migrating birds and whales to watch! Though autumn brings cooler temperatures, guests are never chilly on BONNIE LYNN with her toasty heat and big sheltered cockpit! Please view both of their online brochures to learn more about Bonnie Lynn. 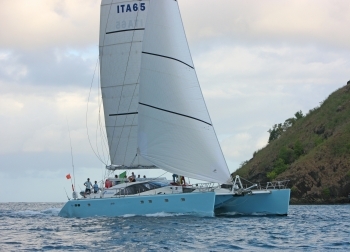 The charter yacht Sagittarius, a 10-passenger 65-foot Privilege catamaran, has announced special discounted rates. The charter catamaran Sagittarius is a 65-foot, Privilege cataman with a crew of two (three crew for charters of 6-10 guests). 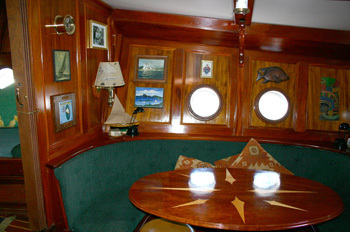 The yacht is fully air conditioned and accommodates up to 10 guests in 5 cabins (1 King, 4 Queen) each with ensuite head/shower. 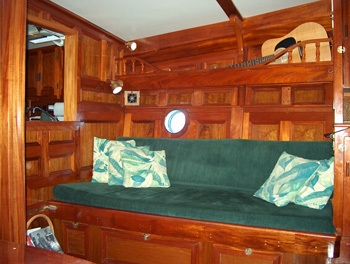 Amenities include an 18-foot dinghy with 45HP motor, tubes, wakeboard, kneeboard, 2 standup paddleboards (SUPs), snorkel gear, hammock, onboard wifi where available, iPod dock, TV/DVD, fishing equipment, etc. 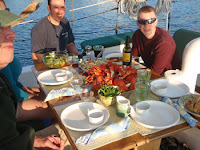 Tony is a Dive Master and Sagittarius offers 2 dives/day to certified divers at a cost of $45/dive per diver. Diving in Tobago Cays, Grenadines is only available through a local dive company. 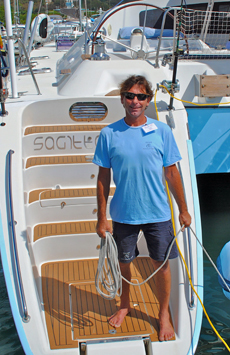 Tony has logged over 82,000 miles during his career in yachting as has great passion for life at sea. As a young man he studied at the Nautical College La Maddalena in Sardinia, Italy. 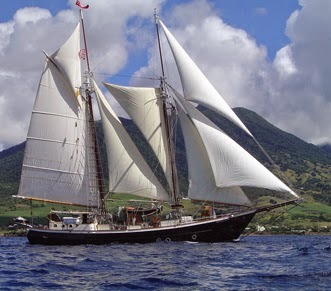 Before long he was crossing the Atlantic as crew on delivery of large sailing vessels between the Med and the Caribbean. 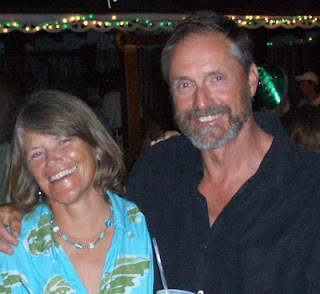 He's also worked as engineer on dive vessels and is a PADI Dive Master. Tony has great interpersonal skills and strives for safety and a harmonious environment on board as his highest priority. Paola grew up in northern Italy where she developed her love for cooking. 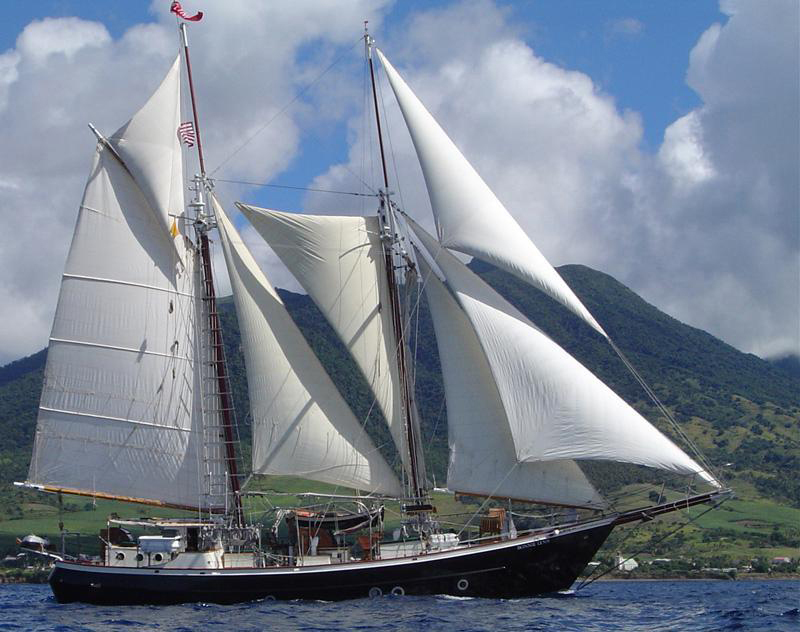 She began her yachting career as crew aboard a motor yacht in the Indian Ocean 10 years ago and since has worked as chef on yachts throughout the Med and Caribbean. Her love of the sea has led her to obtain her captain's license as well. Paola's culinary specialties include Mediterranean and international cuisine, as well as vegetarian and vegan. Please note that the crew smokes, but never inside.